In 1824, an industrious 22-year-old named John Cadbury, opened a grocer’s shop where he sold coffee, tea, drinking chocolate, and cocoa in Birmingham in England. As a Quaker in early 19th century England, Cadbury was forbidden from applying to a university and he did not want to serve in the military due to his pacifist beliefs. Because of the government’s restrictions and commonplace discrimination against Quakers, many Quakers turned to entrepreneurial pursuits and became businesspersons; although none of them would reach the success that John Cadbury did (Ella 2009). The Cadbury chocolate company and its Quaker roots have an impressive legacy in the cocoa industry rooted in ethical, sustainable and revolutionary business practices. It would not be a stretch to suggest that John Cadbury’s strongly held religious beliefs and adherence to the Quaker tradition profoundly impacted the evolution of the Cadbury and by extension, the entire cocoa industry. John Cadbury’s empathy is clear by his reasoning for first opening up his shop at such a young age. He believed alcohol was a main cause of poverty and he hoped that selling chocolate and cocoa would be an alternative to people buying alcohol (Ella 2009). 194 years later and today, Cadbury is a powerhouse in the confectionary industry with more than $3 billion in global net revenues and over 70,000 employees (Ella 2009). Although John Cadbury never witnessed the titanic success his company is today, Cadbury worked hard and saw some early success. In 1854, Cadbury and his brother Benjamin who formed Cadbury Brothers received a Royal Warrant as the official manufacturers of chocolate and cocoa to Queen Victoria, a notorious sweet tooth. Their growing business was not able to fit in that small shop they first started in so they purchased 330 acres of land in the countryside out of Birmingham. 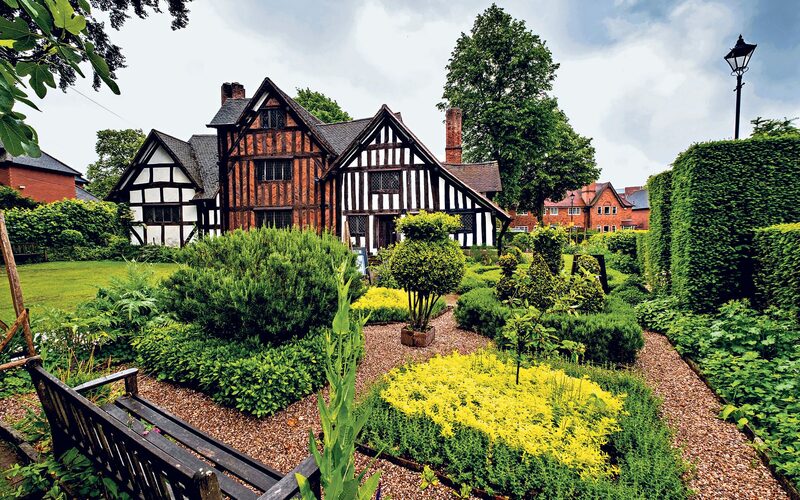 Cadbury, out of his own pocket, built a model village known as Bournville with over 300 homes scattered across the countryside with large gardens, schools, parks, swimming pools, bowling greens, a fishing lake, and a large factory. Conditions at this model village were revolutionary for the age and were inspired by Cadbury’s desire to ‘’alleviate the evils of modern, more cramped living conditions’ (Ella 2009). The brothers set new standards for working and living conditions in Victorian Britain and the Cadbury plant in Bournville became known as “the factory in a garden” (Ella 2009). Over the years since then, Cadbury and his family built a company that placed a high priority on the welfare of the workers and set new standards for working and living conditions. These standards are now the benchmarks of safe, ethical, and sustainable benchmarks for cocoa manufacturers globally. Despite the wonderful model that Cadbury has developed, other companies like Hershey’s have not taken significant steps to ensure that their chocolate is made without exploitative labor. The chocolate industry is inherently dangerous from growing to harvesting to shipping and most cocoa farms are surrounded by intense poverty in Western Africa and Latin America. In Western Africa, several chocolate giants like Hershey’s, Mars, and Nestle are directly connected to horrific human rights abuses including child labor, human trafficking, and slavery (Jamison 2016)) . Child labor is particularly prevalent on the cocoa farms where child labor is used to keep prices competitive. A UN report illuminated the rampant child labor in a horrific report where they observed that, “a child’s workday typically begins at six in the morning and ends in the evening. Some of the children use chainsaws to clear the forests. Other children climb the cocoa trees to cut bean pods using a machete. Holding a single large pod in one hand, each child has to strike the pod with a machete and pry it open with the tip of the blade to expose the cocoa beans. Every strike of the machete has the potential to slice a child’s flesh. The majority of children have scars on their hands, arms, legs or shoulders from the machetes” (ILO 2005). 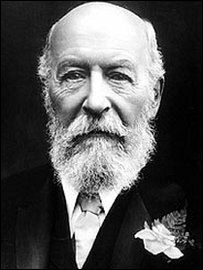 Cadbury demonstrated its commitment to ethical working conditions first envisioned by their founder, John Cadbury, by only selling Fair Trade certified chocolates. In addition, Cadbury brought together 10 of the largest chocolate companies to create an ambitious program, CocoaAction. With over $500 million in funding, they are aiming to reach 3000,000 farmers in western Africa with training programs and education with the hope that healthier economies will translate to better conditions for the employees (O’Keefe 2016). Farmers who agree to these training programs learn how to properly use pesticides and fertilizers and sign a pledge not to exploit child labor. As a reward, they can earn bonuses on every ton of beans sold if they are certified (O’Keefe 2016) . John Cadbury’s legacy of compassion, humanity, and philanthropy combined with a happy knack for creating amazing chocolate has forever influenced the history and the future of the cocoa industry. On the face of it, what Cadbury did when he was alive – treating humans fairly and justly – should not have been revolutionary then and should not be a groundbreaking perspective to take today. In fact, Cadbury showed that a company can manage a viable business while also maintaining high standards for ethical and sustainable conduct. And that is worth raising a bar for. “Combatting Child Labor in Cocoa Growing.” (2005): n. pag. International Programme on the Elimination of Child Labor. International Laber Office (ILO), 2010. Web. 9 Mar. 2018. <http://www.ilo.org/public/english//standards/ipec/themes/cocoa/download/2005_02_cl_cocoa.pdf>. Ella, Jill. “Cadbury: The Legacy in Birmingham.” BBC. BBC, 15 Dec. 2009. Web. 09 Mar. 2018. <http://news.bbc.co.uk/local/birmingham/hi/people_and_places/history/newsid_8412000/8412655.stm>. Jamison, Richard. “Child Labor and Slavery in the Chocolate Industry.” Food Is Power. Food Empowerment Project, 2016. Web. 09 Mar. 2018. <http://www.foodispower.org/slavery-chocolate/>. Martin, Carla D.“Race, ethnicity, gender, and class in chocolate advertisements”, Harvard University, CGIS, AAAS 119x, 2017. Martin, Carla D. “Slavery, abolition, and forced labor”, Harvard University, CGIS, AAAS 119x, 2017. Martin, Carla D. “Psychology, Terroir, and Taste”, Harvard University, CGIS, AAAS 119x, 2017. O’Keefe, Brian. “Inside Big Chocolate’s Child Labor Problem.” Fortune. Fortune Magazine, 1 Mar. 2016. Web. 09 Mar. 2018. <http://fortune.com/big-chocolate-child-labor/>. Smith, Janet. “John Cadbury.” Quakers in the World. Chilterns Quaker Program, 2010. Web. 09 Mar. 2018. <http://www.quakersintheworld.org/quakers-in-action/16/John-Cadbury>. There is No Pleasure in Guilty Chocolate! Why do you love chocolate? Because it is good! It tastes good and makes you happy. It is all that is good in the world wrapped in a beautiful candy bar. What if you learned that your delicious candy bar is a by-product of something bad, the output of someone else’s suffering? A child’s suffering? Would you enjoy it just the same? Eating is not just a means to satisfy hunger; it is also an emotional and psychological experience. We like to eat, and we like to eat good food without any negative connotations. Chocolate does not taste as good when it is served with a side of guilt. Chocolate tastes better when you wholeheartedly know that it came from a good place and produced in an ethical and social responsible manner. Did you know that the global chocolate industry is nearly $100 billion dollars a year? The United States alone spends a little over 18 billion dollars in chocolate (2015), and that the average American consumes approximately 4.3 kilograms / 9.5 pounds of chocolate a year (2015). In comparison, beating the Americans at chocolate consumption are the Swiss who consume approximately a little over 9 kilograms / 20 pounds per person, then tied for second place are the Germans and the Austrians who approximately consume 3.6 kilograms / 7.4 pounds per person (Satioquia-Tan). Chocolate can be found anywhere around the world and is affordable to the masses especially to those who live in the developed world. Chocolate can be found in candy bars, truffles, fudge, cakes, muffins, biscuits, breakfast cereals, pancakes, health bars, sauces, drinks, in your café mocha, and anywhere you can sprinkle chocolate syrup. You can buy it in a specialty shop, supermarket, mini-market, drugstore, or any corner street gas station. The majority of chocolate eaters are rather naïve in knowing the history and the current nature of the chocolate-making business. They simply eat it because they love chocolate without really knowing what it is, where it comes from, who makes and how; or any related social issues. For those consumers who are more aware of the social and economic impacts of the chocolate industry are a little more selective in choosing and enjoying their chocolate. To fully appreciate food is to experience it through all the possible senses, the physiological and psychological (Stuckey 13). Only twenty percent of what we physiologically taste happens in our mouths, the rest of the tasting experience happens through our remaining senses of sight, smell, touch, and sound. We, also, want to psychologically feel good about what we are eating. We want to know about the origins, the farming practices, and the ethics of what we are tasting (Stuckey 14). We want to know the context, the beautiful story, of what we are eating so we can enjoy it fully. The other option is to choose to remain a little ignorant of the subject as not to sour our chocolate taste, however this pleasure would be more superficial and would not represent the fullest appreciation of what we are eating. To fully appreciate today’s chocolate, we will have to fully experience it with the body and mind in full awareness of its origins, present journey and social impacts. Cocoa is the main ingredient for all chocolate recipes. Cocoa derives from cacao seeds, or more commonly referred to as cacao beans, which grow on the Theobroma Cacao tree. Cacao trees are finicky trees that can only bear fruit in hot and humid tropical climates,twenty degrees from the equator at a specific altitude. These trees are highly dependent on midges, an insect, for its flowers to pollinate and bear fruit (Coe and Coe 19-21, 27). Cacao beans grow inside a fruity, pulp filled pod, approximately 30-40 beans grow inside one pod. Unlike most trees, where fruit grow dangling down from branches, cacao pods sprout directly from the tree trunk. In raw form, cacao beans constitute half its size in fat, cocoa butter. When cocoa butter is extracted from the cacao bean, what remains is the cocoa (or cocoa powder), the main ingredient of all chocolate (Coe and Coe 27). Before cacao beans turn into chocolate, cacao fruit is first farmed. Upon harvest, fruit pods are removed from trees and cracked open to extract its beans with machetes. Cacao beans are then fermented, dried, sorted, roasted, transported, winnowed (deshelled), ground to a liquor, pressed (to remove the cacao butter), conched, and then what remains is added to chocolate-making recipes. Chocolate is the result of a labor intensive and highly processed food. Where Does Cacao Come From? Cacao is native to the New World, the South American’s amazon basin region (Coe and Coe 25), and the Mesoamerican native cultures of the Mayans and Aztecs and predecessors were the first peoples to ever make chocolate dating back as far as 1500 BCE (Coe and Coe 33). Cacao was precious and a sacred food reserved for the elite, special occasions, and sacred rituals. Mayan and Aztecs Gods often appear alongside or in the form of cacao trees in their native hieroglyphs and surviving art (Coe and Coe 42). So precious, cacao beans were even used as a means of monetary currency. In 1545, documented is the commodity price of a tamale: one tamale equals one cacao bean (Coe and Coe 98-99). Upon colonizing Mesoamerica, the Spanish conquistadors were the first Europeans to discover and spread the taste of chocolate to Europe starting in the 1500’s (Coe and Coe 108). At the beginning of the chocolate history in Europe, chocolate was rare, expensive, and for the upper class. Then as time passed and soon after the industrial revolution, chocolate became relatively common and affordable to the masses. After the end of the American colonial period, in the late 1800’s, the Spanish and the Portuguese introduced cacao to West Africa. Due to favorable climate conditions, cacao flourished in West Africa. Today, approximately seventy percent of the world’s cacao comes from West Africa (Wessel and Quist-Wessel 1). The Ivory Coast and Ghana are the two major countries that supply cacao. There are 2 million, small (3 hectares acres in size), independent farms (Ryan 52) in West Africa that supply three million metric tons of cacao per year (World Cocoa Foundation). What Are the Social Issues Involving the Chocolate Industry? Since the first Europeans, the Spanish conquistadors, landed in the New World, the cacao industry has been tainted with slavery and forced labor since 1650’s (Berlan 1092). Upon colonizing Mesoamerica, the Spanish forced the natives to pay tribute in labor and cacao to their new Spanish Crown. After millions of natives died of diseases, the Spanish, like other colonists in the Americas, resorted to using chattel slavery from Africa to extract New World resources (Presilla 24, 33). Chattel slavery officially ended in 1884, however it continued in disguise in Portuguese West Africa well into the 1900’s in the cacao industry and some reports state that it persisted until 1962 (Berlan 1092). Today, cacao farmer incomes are very volatile for it depends on operating profits, and since cacao is a commodity, the market price. Farmers need to sell their cacao at a high enough price in order to pay off their operation expenses which includes labor, a major expense, just like most businesses. Unexpected operating expenses and / or a fall in market price can be devastating on farmer revenues/incomes. Cacao farmers, per capita, constantly live without the security of a reliable living wage. In 2015, cacao farmers earned 50 to 84 cents on the American dollar a day (Cocoabarometer). As it is, cacao farmers barely break even, and there is little economic incentive for them to stay in the cacao farming business. Due to local poverty and lack of other options, farmers continue to grow cacao under pressure to lower operating costs and often resort to desperate means to make a profit, break even, or just enough to pay for rice and cooking oil (Off 5). In more recent history in the 1990’s and early 2000’s, a wave of newspaper stories and documentary films exposed the existence of child labor, trafficking, and slaves in West African cacao farms which caused much consumer outrage. The media graphically showed the world the extreme poverty and hard lives of cacao farmers in West Africa and the desperate measures farmers take to lower operating costs by using child slave labor (Berlan 1089). The documentary, Slavery: A Global Investigation (2000), especially shocked viewers by showing how easy it was to find child slaves working on cacao farms and how the local people seem to accept the practice as a way of life. On camera, journalists were able, with relative ease, to overtly interview real child slaves and get first-hand testimony about their hardships, a farm owner who openly admitted to having slaves and in how to get them, and a local official who confirmed as matter of fact that at least 90% of the Ivory Coast farms use child slave labor. Ninety percent implies the existence of hundreds of thousands of slaves (Ryan 118). A 2000 US State Department report estimated that 15,000 Malian children worked on Ivory Coast cacao farms and that many of were under 12 years old and sold into indentured service (Off 133). Two of the local documentary crew even demonstrated how easy it was to buy slaves, posing as buyers, they went to the marketplace and were able to purchase two boys for the total of forty British pounds (approximately $40) within thirty minutes. Economics, low cacao market price, was credited as being the main reason why these farmers resorted to using slavery. With such low cacao market prices, farmers cannot afford to pay employee wages and still make a profit, and they have no other income options. In contrast, in a free and mature economy, if a business is not profitable it goes out of business, and one can start a new business or find a new job, this is not the case for the West African cacao farmers. Since the West African child labor scandals, there has an increased awareness and legislation attempts to eradicate forced and most hazardous child labor. Child labor in general is so embedded into the West African culture, not all children who work on farms are slaves or working with hazards. Most children work as part of the family on their family farms. It was deemed impossible and impractical to create a law that would abolish all form of child labor, however a voluntary agreement, The Harking-Engel Protocol, was signed among the Ivory Coast and the International Chocolate and Cocoa Industry in accordance with the International Labor Organization to end the worst forms of child labor in 2001 (Ryan 44, 47). Because of extreme poverty and lack of options, there are children who are better off working for they will at least have access to some food. Today, consumers are more aware, corporations have put efforts in demonstrating social responsibility in self-certifications, and nonprofit/advocacy organizations, have emerged and increased advocacy. There is still much poverty among cacao farmers, and many children are still working on farms and some are still suspected of being forced to work against their will. The child labor problems still exist today. We, the world, hoped for that the state of child labor in West Africa would be better, however it could be worse. It is natural that corporations would seek to do business with a poorer and less mature economies so to benefit from cheaper labor costs, but there should be limits when business practices violate human rights and the ability for workers to make a livable wage. It is evident that cacao farmers need more money so can they afford to hire farm workers to help cultivate their labor intensive cacao farms. In the least, the cacao market price needs to go up. It may mean that consumers would have to pay a little more for their chocolate treats. Would you be willing to pay a little more for your candy bar if it would end child and forced labor? I realize that blindly throwing more money at the problem will not necessarily fix it if local corrupt governments and other stakeholders are still there to scheme away the extra money intended for the cacao farmers. This is a complex issue which requires multi-approach solution. We, the consumers, the governments, NGOs, the corporations, the media (or lack of media), the farmers, are all part of the problem, and we could also all be part of the solution. West African farmers and their children need special consideration for they are the most powerless demographic group in the chocolate food chain. The ones with the most power in the chocolate food chain by default have the most ability, and therefore the greater responsibility, to effect change. Wealthy companies and consumers are in the best position to invest and apply influence in the solution. We, the consumers, should expect that our chocolate companies to conduct business in an ethical and social responsible manner or make better consumer choices if they do not. Here, in the first world, we would not accept the practice of child labor or slavery in our backyard, and we should not accept it elsewhere and in the products that we use and the foods we eat. The West African modern-day slave issue is especially heartbreaking for it involves children in producing sweets that we all so enjoy so much. If we all knew that children were being kidnapped and forced to cultivate cacao, we would all enjoy the taste of our chocolate a little less. As consumers, we need to be more conscious about what we eat and learn as much as possible so we can make better consumer choices, maybe write a customer complaint to your chocolate provider or your congressman to influence change in law. There is no better tasting chocolate than the one that is free from social guilt. In the end, we should all have the right to enjoy good and good-tasting chocolate. Berlan, Amanda. “Social Sustainability in Agriculture: An Anthropological Perspective on Child Labour in Cocoa Production in Ghana. The Journal of Development Studies, vol. 49, no. 8, 2013, pp. 1088-1100. http://dx.doi.org/10.1080/00220388.2013.78004. Off, Carol. Bitter Chocolate: The Dark Side of the World’s Most Seductive Sweet. The New Press, 2008. Presilla, Maricel. The New Taste of Chocolate, Revised: A Cultural & Natural History of Cacao with Recipes. Ten Speed Press, 2009. Ryan, Orla. Chocolate Nations: Living and Dying for Cocoa in West Africa. Zed Books, 2011. Stuckey, Barb. Taste What You Are Missing: The Passionate Eater’s Guide to Why Good Food Tastes Good. Free Press, 2012. Slavery: A Global Investigation. Produced and directed by Brian Woods and Kate Blanchet. A True Vision Production in Association with HBO, 2000. TopDocumentaryFilms, topdocumentaryfilms.com/slavery-a-global-investigation. Wessel, Marius, and Foluke Quist-Wessel. Cocoa Production in West Africa, a Review and Analysis of Recent Developments. NJAS – Wageningen Journal of Life Sciences., vol. 74-74, pp. 1-7, 12-2015. doi.org/10.1016/j.njas.2015.09.001. It is easy to think of chocolate as a sweet treat that stirs up fond memories of a happy stomach. Yet, there are further issues involving the nature by which we view chocolate as a society. We are going to think critically and assess the inequality and more problematic elements in the production and sales end of chocolate. Chocolate, as a commercialized product, is not only an exploitative product by nature, but it also in several ways serves to exacerbate race and age disparities in our communities through its marketing strategies. Big chocolate companies present several problematic elements through their exploitation of not only the cacao farmer, but additionally through their exploitive marketing strategies. Chocolate has a long history of using forced and coerced labor for its cultivation: “…abuses…have been well-documented for much longer, even if the use of coercion has not been consistent across cocoa production globally and throughout time” (Berlan 1092). However, it is not widely known that our consumption of chocolate is still based off of the exploitation of others. Even now, big chocolate companies exploit cacao farmers through multiple venues. First, cacao labor is extremely laborious and often farmers are not supplied with the right facilities: “Farm workers often lack: access to bathroom facilities, filtered water, clean spaces for food prep, lesser exposed areas to res/cool down” (Martin Lecture 3/22). Additionally, farming cacao is associated with a very volatile income. Cacao farmers are not paid in wages or salaries, as cacao is a commodity with a fluctuating price in the world economy. This irregular source of income leads to an unstable source of livelihood for cacao farmers and their families: “and yet almost every critic of the industry [chocolate industry] has identified the key problem: poverty among the primary producers” (Off 146). Historically, the exploitation of the laborer exacerbated racial distinctions and categories: “Overall, both Rowntree and Cadbury adverts created a world of white consumers in which the black producers of cocoa beans and the black consumers of chocolate were at best pushed to the margins, if not excluded completely” (Robertson 54). Yet, there is even a further subcategory within the Ivory Coast cacao farmers that is subjected to the chocolate industry’s exploitation. Child labor is often used on cacao farms: In a 2000 report on human rights in Cote d’Ivoire, the US State Department estimated, with startling candor, “‘that 15,000 Malian children work on Ivorian cocoa and coffee plantations…Many are under 12 years of age, sold into indentured servitude…’” (Off 133). The International Labor Organization has explicitly defined the worst forms of child labor. It is universally accepted that not only is child labor unethical, but further, that coerced child labor is morally wrong. Yet, the alarming part is not that child labor is being utilized in cacao farming, but rather, the extent to which children are being exploited: “‘15,000 Malian children work on Ivorian cocoa and coffee plantations…Many are under 12 years of age, sold into indentured servitude…’” (Off 133). Cacao has become a product tainted with coerced and unethically sourced labor. In doing so, chocolate, itself, becomes an exploitative product. This graph featured above is from Alders Ledge. It shows the primary cacao producing countries in the “Gold Coast” of West Africa. The graph shows that about 71% of the world’s cacao is sourced using child labor and 43% uses forced labor. Chocolate companies additionally manipulate their consumer base through their marketing strategies. First, chocolate companies have chosen to market specifically to children. Companies target the vulnerabilities of children through specific practices. For example, “until the age of about 8, children do not understand advertising’s persuasive intent” (Martin Lecture 3/29). Chocolate companies manipulate children through advertisements on television, packaging, and social media. Companies are now spending billions of dollars to manipulate children and maximize their profits: “Companies spend about $17 billion annually marketing to children, a staggering increase from the $100 million spent in 1983” (Martin Lecture 3/29). 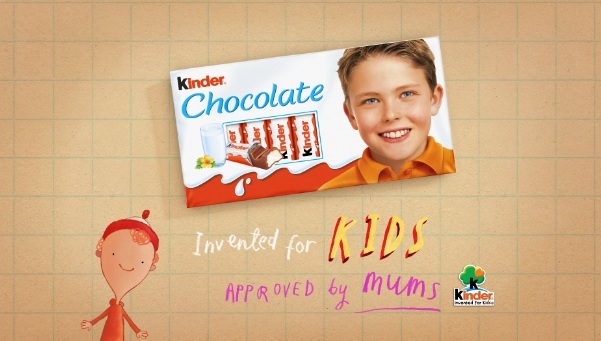 The advertisement, featured by Kinder, depicts a smiling (happy) young boy on a delicious looking candy bar. The bottom reads “Invented for Kids Approved by Mums”, thereby playing off children’s vulnerabilities and telling them that this bar was specifically made for them. In addition to chocolate companies’ manipulation of children, their advertisements of chocolate have also been used to dehumanize blackness: “The use of black people in advertising has a long history” (Robertson 36). However, there is some sort of logic to using blackness and black people to represent products like chocolate: “…products made available through the use of slave labor such as coffee and cocoa, often used, and many still use, images of black people to enhance their luxury status” (Robertson 36). Yet, does the logic of its representation make it any less inherently racist? The presentation of blackness and the use of that exploitation of coerced labor to maximize profit is morally incorrect. The imperial history of cacao and slavery make the use of its laborers as an advertising tool even more ethically wrong. Yet, we have historically, and still do, use blackface and such caricatures to represent chocolate products. This is an advertisement by Dunkin’ Donuts in Thailand. It features a smiling woman in blackface makeup holding a charcoal (chocolate) flavored donut. The slogan “Break every rule of deliciousness” is featured next to the blackfaced woman. Not only is this an example of linking chocolate to blackness in advertising, but it also links chocolate and subsequently blackness to sin. Yet, even when companies attempt to manipulate their consumer base by marketing themselves as leaders of fairly sourced cacao, they do not always succeed. In Cosmopolitan Cocoa Farmers: Refashioning Africa in DivineChocolate Advertisements, Kristy Leissle describes Divine Chocolate’s ad, featuring female Ghanan cacao farmers as a “positive contribution” (Leissle 123) to the depictions of Africa in British culture. However the way that Divine Chocolate depicts these women with their products seems detached from reality: “Divine Chocolate expends considerable effort to make Kuapa Kokoo farmers – and Ghana as a cocoa origin site – visible to Britain’s chocolate shoppers…Divine Chocolate and St. Luke’s supplied the women’s outfits and gave them a stipend to have their hair styled for the shoot…” (Leissle 124). I would argue that if Divine Chocolate had really wanted to showcase the cacao farmers, not only would they have included the male farmers, but they wouldn’t have expended resources to change the women’s outward appearances. Further, much like the popular Western chocolate ads, Divine Chocolate’s ads sexual and objectify women. Divine Chocolate is seeking to maximize both sales and profits from the chocolate industry and are playing off of what they think the consumers want to see. Rather than this advertisement being associated with an educational or philanthropic aura, I would argue that this ad, in reality, fetishizes these female, African cacao farmers. Additionally, the advertisement validates and reinforces stereotypes regarding Africans. Thus, because of its manipulative nature, cacao, as a commodity, becomes an exploited commodity. Chocolate has become a linguistic tool that exacerbates not only racial distinctions but also racial tensions. Chocolate has become a euphemism for sin; while it’s counterpart vanilla has become linked to purity. Through this symbolism, a standard of uncleanliness versus cleanliness is created. This leads one to wonder if the basis for linking chocolate to blackness is purely based on skin color, or rather does it have a deeper, race related background? In Slavery & Capitalism (1940), Eric Williams argues that racism is a byproduct of slavery and not the cause of slavery (Martin Lecture 3/1). Perhaps chocolate is commonly related to black people because of its historical exploitation of forced labor in the “Gold Coast” of West Africa? Or rather, is the fact that chocolate is also associated with dirtiness and sexuality a factor? Are these racist notions of uncleanliness associated with chocolate and blackness because of our inherent racism towards those that we previously subjugated? Chocolate as associated with blackness becomes marginalized in society. The Western ideals reign supreme: “The commodity chain model is not ideal, then, creating a progress narrative in which western consumption is prioritized as a symbol of economic development and modernity” (Robertson 4). The association comes through the means by which cacao is cultivated. And in part stems from the inequality in the sourcing, in terms of workers: “The history of chocolate corresponds to some extent with the more well-documented histories of tea, coffee and sugar: notably in the early dependence on coerced labor, and in the transformation of the product from luxury to everyday commodity…Chocolate has been invested with specific cultural meanings which are in part connected to such conditions of production” (Robertson 3). Yet, this relation between chocolate as a symbol for black people and vanilla, seen as the opposite, for white people, creates yet another barrier of difference. And in doing so further paints black people as “othered”. However, it is important to note, that the relation between chocolate and race is not entirely detrimental. In several contexts, the link and its subsequent meaning have been reappropriated to carry a more positive connotation. For example, “chocolate city”, referring to cities with a very large black population, has become more of a term of empowerment, rather than one of subjugation. 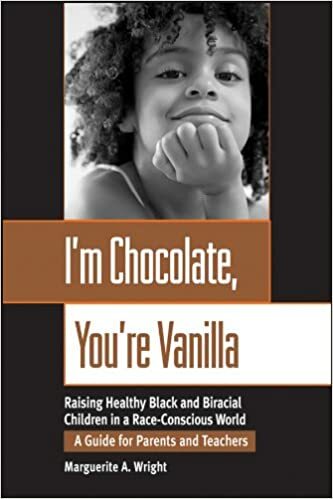 Additionally, the book featured below, I’m Chocolate, You’re Vanilla, uses blackness as related to chocolate as merely a term to describe two halves of the same being, just different flavors. Thus, while the initial linking of blackness to chocolate may or may not come from racist and subjugated origins, the term is not entirely negative. The book by Marguerite Wright, I’m Chocolate, You’re Vanilla is meant as a teaching tool to help parents guide their children as a minority in the community. In this context, chocolate as a euphemism for blackness is not necessarily racist nor prejudice. However, the fact that the parallel between race and chocolate exists at all, and the connotations of the parallel are inherently racist. However, one could argue that the problem of exploitation is not applicable just to the chocolate industry; rather, it is an issue with free trade and the laissez-faire economy itself. One could argue that the exploitative nature of the commodity and the exploitation by which it is cultivated is really a break down of fair trade. Fair trade is supposed to regulate the working conditions yet, in The Fair Trade Scandal, Ndongo Sylla argues that “…Fair Trade is but the most recent example of another sophisticated ‘scam’ by the ‘invisible hand’ of the free market” (Sylla 18). Sylla would argue that the system itself is at fault for the worker’s exploitation, rather than the companies employing them: “In the West African context where I worked, Fair Trade was barely keeping its promises. For older producer organizations, there were initially significant benefits; then, hardly anything followed. Newcomers to the system were still waiting for promises to come true. For those who wanted to join the movement, it was sometimes an obstacle course” (Sylla 19). One could also use Marx’s notion of the exploited worked and the systematic oppression involved in capitalism as the issue at hand. One could use Marx’s theory that the sole purpose of capitalism is to exploit the worker and estrange him from not only the commodity that he produces, but further from the capitalist and the land itself. Thereby showing that the exploitation involved in the chocolate industry is not only applicable to other commodities, but this exploitation is also a natural progression in a capitalistic society. The argument that the system is, in actuality, at fault for the exploitative nature of the product is valid. However, this still does not discount the racialized slurs that are a product of this estrangement and exploitation. The free market itself is problematic; but my argument here, is that chocolate is an exploitative product and it can be improved, even if the market is inherently compromised. This is a critique of the system and the mindset that this exploitation creates in society; rather than an essay that provides the means by which we can implement a long-term systemic change. Chocolate through its advertisement and forms of cultivation becomes an exploitative commodity. Further, the means by which it is cultivated leads society to provide specific and racialized associations with chocolate. Thereby allowing chocolate to exacerbate race and age gaps in society. Martin, Carla. Lectures (3/1, 3/22, 3/29). Off, Carol. 2008. Bitter Chocolate: The Dark Side of the World’s Most Seductive Sweet. Robertson, Emma. 2010. Chocolate, Women and Empire: A Social and Cultural History. Sylla, Ndongo. 2014. The Fair Trade Scandal. Beaut.ie. “Maeve and Her Tiny Babies: Ads That Drive Me Crazy!” Beaut.ie. Beaut.ie, 12 May 2013. Web. 04 May 2017. Jones, Jane. “The Taste of Inequality: Chocolate Is Too Expensive for Many Cocoa Farmers to Eat.” Ravishly. N.p., n.d. Web. 05 May 2017. Lee, Jack. “Alders Ledge.” Guilt Free Chocolate. N.p., 30 Oct. 2013. Web. 04 May 2017. Stanley, T. L. “Dunkin’ Donuts Apologizes for Blackface Ad, but Not Everyone Is Sorry.” – Adweek. Adweek, n.d. Web. 04 May 2017. Wright, Marguerite A. I’m Chocolate, You’re Vanilla: Raising Healthy Black and Biracial Children in a Race-conscious World. San Francisco, CA: Jossey-Bass, 2000. Print. Headquartered in rural Pennsylvania, over 87% of Hershey’s total revenues are based in North America, despite corporate strategies promoting global market expansion. Of Hershey’s twelve production facilities, ten are in North America and only two are in Asia. Despite production and consumption based in the United States, the Hershey name has made a significant impact internationally through its association with the American military. This relationship heightens the dichotomy between cacao as a source of sustenance and a luxurious treat. Cacao promotes athletics and war on the one hand, pleasure and enjoyment on the other. In the U.S., Hershey supplied ration bars for soldiers. Its classic candies have bridged cross-cultural divides from World War I through the Berlin Airlift, the swamps of Vietnam to the deserts of Iraq. The first documented histories of chocolate reveal the origins of the bean’s association with both indulgence and nutrition. Civilizations in Latin and South America recognized that “Armies travel on their stomachs.” The Aztecs, for example, believed that chocolate provided energy to fighters, who consumed the beverage before battle. This tradition extended to European society. Britain’s Cadbury proclaimed that its cocoa, “Makes men stronger,” while Hershey deemed its chocolate bar “A meal in itself.” Enjoyment of chocolate thereby spread from royal circles to the masses while it maintained its association with energy and success. Soldiers continued to rely on chocolate as portable, high-energy fuel. In the French and Indian War, Benjamin Franklin sent each colonial officer six pounds of chocolate. The Continental Congress set price controls on cocoa, and the Americans rejoiced after the British left behind pounds of chocolate at the Fort of Ticonderoga. World War II marked the intersection between the commercialization of chocolate production and the mass mobilization of armies. Mars created M&M’s in 1932, after Forrest Mars saw Spanish troops eating chocolate beads encased in sugar (to prevent melting). Mars sold M&M’s exclusively to the US military during WWII until turning to the public market in 1948. While Mars approached the U.S. to begin their relationship, the state reached out to Hershey. The Office of War Information popularized the “militarization of food” through posters, film shorts, radio broadcasts, and propaganda that the Allie would win from combining democratic institutions with productive capitalism. The initial request for Hershey in 1937 was for a 4 ounce bar, high in energy, resistant to heat, and tasting “little better than a boiled potato.” The resulting product was terribly dense, earned the moniker “Hitler’s Secret Weapon” for its effect on the digestive system, and found itself more often discarded than eaten. Hershey continues to revise the recipe, introducing new iterations from Korea to Vietnam. Sugar-filled, traditional version of American chocolate became tools of diplomacy across language, culture, and generational gaps, a narrative that Hershey helped build. World War I saw troops from opposing trenches across the western front held a temporary truce in December of 1914. British soldiers shared Rowntree chocolate biscuits, sent to support soldiers from its headquarters in York. They broke the biscuits together and then they played friendly games of football, at least until the war resumed the next week. During World War II, this process began at home. Hotel Hershey interned 300 Vichy diplomats in the United States from 1942 through late 1943, since C-suite officials of Hershey offered the Hotel to the State Department. Diplomats and wealthy businessmen, including the Hershey family and even the Vichy diplomats, continued to frequent luxury French dining establishments to enjoy chocolate, despite rationing restraints. Meanwhile, the general public was forced to remove sugar from large parts of their diet. Thus, the elite continued to mix chocolate and business, while soldiers and the poor traded in traditional sweet treats for subpar alternatives. Chocolate from the United States began to foster goodwill among noncombatants soon thereafter. Operation Vittles earned international acclaim during the Berlin Airlift, when 1st Lt. Gail Halvorsen included a few pieces of candy for children in his drops. Soon, his fellow soldiers began to participate, chipping in Hershey treats from their rations. As the public grew aware of the effort, corporations began to donate massive shipments of candy. Ultimately Halvorsen dropped 12 tons of candy and gum for the children of West Berlin from his C-47. [The children] ran out to greet us, asking for candy bars, and to have their pictures taken. We had a box full of assorted candies, chocolate, and peanuts donated by the GIs on base, which we distributed immediately upon our arrival; the cache being depleted in less time than it took for the medics to unload their medicine and equipment from the jeeps. Though the friendship began with sugar and smiles, he argued that the children “sure took notice of us, and it certainly goes beyond the fact that they always begged us for chocolate and candy—you could see it in their eyes, and many of us could see ourselves in their faces.” Steven Alexander expressed similar sentiments in his memoir. The soldiers dreaded receiving C-ration boxes with tropical Hershey chocolate bars, too hot ever to melt and inedible. He instead found joy through chocolate by giving children Hershey bars and then seeing their reactions. Alexander reflected, “I only wished I had a real chocolate Hershey bar from home so she could really enjoy the candy. But she seemed to be happy with what I gave her.” His tropical bar ration may not have added to his happiness, but the classic Hershey treat let him give temporary good cheer to others. Here comes an innocent child running down a dirt path, barefoot, and carrying about five or 6 pounds of high explosives heading right for you. The child may be racing several others to get there first; to be the first to get a Hershey bar. You know that in 10 seconds, you, your comrades, and the children will die. Could any man bring himself to shoot? The Vietnam War left behind some valid, anti-American sentiment. However, many of the soldiers attempted to build relationships with local communities based on trust, companionship, and shared appreciation for Hershey. These efforts sometimes ended tragically, but they facilitated an image of generosity regarding American soldiers toward Vietnamese children. Most recently, the U.S. Air Force has been engaged in dropping food, water, and medicine to people struggling in remote areas, separated from relief by fighting. Another single pilot began this wave, this time Master Sergeant Stephen Brown, who added a little candy to each drop before his peers joined him. Of the 109 bundles of 10,545 gallons of water and 7,056 Halal Meals Ready to Eat, each contained Hershey bars, Starbursts, or other sweets. Brown reflected that they hoped to provide “something that will make a dire situation a little brighter, even if it’s just for a few moments.” Though Hershey remains a distinctly American brand, its reputation has thus extended overseas through the military, from the trenches of France to the desserts of Iraq. Hershey chocolate’s role in military rations and in civilian contacts recalls a dichotomy that has existed since the earliest days of chocolate, between sustenance and pleasure. However, the reality that Hershey chocolate, in both cases, is provided by Americans to soldiers and to children, respectively, shows that it continues to reflect a legacy of luxury and elite access, even in this arena. “The Hershey Company,” 10-K (Hershey, PA, December 31, 2015), https://www.sec.gov/Archives/edgar/data/47111/000004711116000095/a2015_formx10-kq4. Sophie Coe and Michael Coe, The True History of Chocolate, 3rd ed. (London: Thames & Hudson, 2013), 73. Ibid., 234. The rise of financial systems in Protestant countries, with capital stores and technological framework, facilitated this democratization of chocolate. The estates of sugar plantations in outposts of empire reduced the price of sugar. And two inventions specifically improved taste and lowered price: Van Houten’s addition of alkaline (to reduce bitterness) and Fry’s creation of milk chocolate (to increase sweetness and lower price). Though these blocks did not have sugar added, their caffeine content energized soldiers just as they had the Aztecs. Rodney Synder, “History of Chocolate: Chocolate in the American Colonies,” Colonial Williamsburg, http://www.history.org/history/teaching/enewsletter/volume9/jan11/featurearticle. Mars formed a partnership with Hershey’s, founded in 1898, to supply the milk chocolate for this confection until he could produce the filling internally. M&M’s remain a part of Meals Ready to Eat (MRE) today. Laura Schumm, “The Wartime Origins of the M&M,” History.com, 2017, http://www.history.com/news/hungry-history/the-wartime-origins-of-the-mm. Allison Carruth, “War Rations and the Food Politics of Late Modernism,” Modernism/Modernity 16, no. 4 (January 1, 2010): 767–95, doi:10.1353/mod.0.0139. Carruth, 770; U. S. Office of War Information, Food for Fighters, 1943, http://archive.org/details/FoodforF1943. This short film argued that “Food correctly used means fighting strength for our soldiers and better health for civilians,” discussing food plants, university laboratories, and quartermaster corporal studies. These promoted “good food in plenty of variety,” supplied on the front using repurposed assembly lines from candy companies. Stephanie Butler, “D-Day Rations: How Chocolate Helped Win the War,” History.com, http://www.history.com/news/hungry-history/d-day-rations-how-chocolate-helped-win-the-war. For more information on the evolution of Hershey through military research, alongside other food developments, see Anastacia Marx de Salcedo, Combat-Ready Kitchen: How the U.S. Military Shapes the Way You Eat (New York, New York: Current, 2015). These chocolate bars have remained relatively unpalatable given the difficulty of replicating the melting temperature of good chocolate once eaten without turning into a puddle in desert heat. Iain Adams, “A Game for Christmas? The Argylls, Saxons and Football on the Western Front,” International Journal of the History of Sport 32, no. 11 (June 2015): 1395. Gemma Mullin, “New Exhibition Reveals How Chocolate Was Morale Booster for Soldiers,” Mail Online, July 22, 2014, http://www.dailymail.co.uk/news/article-2701170/How-chocolate-helped-win-WW1-New-exhibition-reveals-important-confectionary-morale-booster-troops-trenches.html. This hotel was the center of the resort town centered on the Hershey factory in Pennsylvania. The State Department did pay Hershey a $256,643 bill, and the Hotel reopened to the public the next year. Jackie Kruper, “A Sweet Prison Camp,” World War II 20, no. 2 (May 2005): 58–60. The poor, at this point, relied on inexpensive treats like chocolate for 30% of their daily calories, so the rationing significantly impaired their nutrition. Sidney W. Mintz, Sweetness and Power (New York: Penguin, 1985), 256. “Berlin Airlift: The Chocolate Pilot,” PBS, http://www.pbs.org/wgbh/amex/airlift/sfeature/candy. David Todeschini, Land of Childhood’s Fears – Faith, Friendship, and the Vietnam War (Lulu.com, 2005), 105. Steven Alexander, An American Soldier in Vietnam (Page Publishing, 2013), chpt. 9; 10. Dorian de Wind, “The ‘Candy Bombers’ of Iraq,” Huffington Post, September 4, 2014, http://www.huffingtonpost.com/dorian-de-wind/the-candy-bombers-of-iraq_b_5769316.html. “The ‘Almost’ Candy Bombers of Iraq,” U.S. Air Force, accessed March 16, 2017, http://www.af.mil/News/ArticleDisplay/tabid/223/Article/494965/the-almost-candy-bombers-of-iraq.aspx. Alexander, Steven. An American Soldier in Vietnam. Page Publishing Inc, 2013. Butler, Stephanie. “D-Day Rations: How Chocolate Helped Win the War – Hungry History.” HISTORY.com. Accessed March 15, 2017. http://www.history.com/news/hungry-history/d-day-rations-how-chocolate-helped-win-the-war. Carruth, Allison. “War Rations and the Food Politics of Late Modernism.” Modernism/Modernity 16, no. 4 (January 1, 2010): 767–95. doi:10.1353/mod.0.0139. Coe, Sophie D., and Michael D. Coe. The True History of Chocolate. 3rd ed. London: Thames & Hudson, 2013. Kruper, Jackie. “A Sweet Prison Camp.” World War II 20, no. 2 (May 2005): 58–60. Mintz, Sidney W. Sweetness and Power. New York: Penguin, 1985. Mullin, By Gemma. “New Exhibition Reveals How Chocolate Was Morale Booster for Soldiers.” Mail Online, July 22, 2014. http://www.dailymail.co.uk/news/article-2701170/How-chocolate-helped-win-WW1-New-exhibition-reveals-important-confectionary-morale-booster-troops-trenches.html. Salcedo, Anastacia Marx de. Combat-Ready Kitchen: How the U.S. Military Shapes the Way You Eat. New York, New York: Current, 2015. Schumm, Laura. “The Wartime Origins of the M&M – Hungry History.” HISTORY.com. Accessed March 16, 2017. http://www.history.com/news/hungry-history/the-wartime-origins-of-the-mm. Synder, Rodney. “History of Chocolate: Chocolate in the American Colonies.” Colonial Williamsburg. Accessed March 16, 2017. http://history.org/history/teaching/enewsletter/volume9/jan11/featurearticle.cfm. “The ‘Almost’ Candy Bombers of Iraq.” U.S. Air Force. Accessed March 16, 2017. http://www.af.mil/News/ArticleDisplay/tabid/223/Article/494965/the-almost-candy-bombers-of-iraq.aspx. “The Berlin Airlift: The Chocolate Pilot.” PBS. Accessed March 15, 2017. http://www.pbs.org/wgbh/amex/airlift/sfeature/candy.html. “The Hershey Company.” 10-K. Hershey, PA, December 31, 2015. https://www.sec.gov/Archives/edgar/data/47111/000004711116000095/a2015_formx10-kq4.htm. Todeschini, David. Land of Childhood’s Fears – Faith, Friendship, and the Vietnam War. Lulu.com, 2005. S. Office of War Information. Food for Fighters, 1943. http://www.archive.org/details/FoodforF1943. Wind, Dorian de. “The ‘Candy Bombers’ of Iraq.” Huffington Post, September 4, 2014. http://www.huffingtonpost.com/dorian-de-wind/the-candy-bombers-of-iraq_b_5769316.html. Outside of models seductively pressing squares of milk chocolate to lips with a playful look and women with dark satiny fabrics outlining their curves in the name of chocolate bars, there is another stereotype being framed for women by chocolate company advertisements that is less loud and glamorous than the sexualization in chocolate advertising, but still problematic. For more than a century, and still in the present, chocolate companies have advertised their products to mothers as nutritional food products to feed children. The role of chocolate buying as a part of motherhood has historically been portrayed to consumers through advertising once as a nutritional obligation for mothers who want to nurture their families well, and later on as a way to appease children and husbands and be the best kind of mother. These messages, while less obvious today, can still be picked up on from commercials, especially for chocolate milk, and while some advertising has moved on to include women in roles outside of motherhood, chocolate milk industries still seems to fetishize the housewife role (Martin, Lecture 7, Slide 25). The identity of women as mothers and housewives in chocolate advertisements became this controversial way after chocolate became less of a luxury and more commonplace through improved packaging, preparing, and distributing (Martin, Lecture 7, Slide 6). Chocolate was no longer for male-dominated chocolate houses, and instead being pushed to consumers as an energy-renewing and restorative snack and household necessity (Martin, Lecture 7, Slide 25). Industrialization of chocolate manufacturing made it more available to families for buying, and it became apparent to chocolate companies that they should advertise to the mothers of children buying food for their young ones. Shortly after, in the late 19th and early 20th centuries, teaching women domestic skills became extremely popular, as evidenced by cookbooks by Maria Parloa and Fannie Farmer (Martin, Brownies). As a result, chocolate companies shifted to advertising their products to women, and encouraging them to feed their children and husbands chocolate as a healthful food (Robertson, 20). Those creating these advertisements saw housewives as their target customers and in their advertising, showed these women as the family members in charge of the domestic jobs of food shopping and feeding children, and this influences the way mothers are portrayed in a hugely domestic role in chocolate milk advertising today. One example is the TruMoo commercial below. In this advertisement from TruMoo, the woman considering the product is cast in a specific role that is not very different from the target audience of chocolate advertising in the past century. This shows that even today, mothers are a target audience for many chocolate drink advertisements. These commercials still appeal to the concerned emotions mothers have for the health of their families. Boasting fortifying vitamins and energetic properties, chocolate milk commercials tell moms that they should feed their children chocolate milk if they have their health in mind. In these advertisements, young ones look to moms with wide, approving, grins while swirling Hershey’s and Nesquik. The companies are marketing children’s approval alongside the healthful benefits of the products vitamins and minerals. The role women play in grocery stores, pushing carts, and making important decisions about brands, health, and prices is a historic and sexist storyline women which chocolate companies have chosen to use. As ultimate grocery decision-maker, women in these commercials do not have jobs or interests or lives outside of the light we see them in, a strict domestic, housewife sort of role. Ultimately, the TruMoo commercial mother listens to “the voice of reason” angelic advice and decides on TruMoo. Her son’s satisfaction suggests to women (and their children) that buying TruMoo makes women nurturing and fun moms. An alternative I’d like to see? Dads shopping. Moms and dads shopping together. Two moms shopping together. Grandpas and grandmas and uncles and aunts shopping. I’ve included an example of a response to all of the shopping moms are doing in chocolate milk advertisements. In it, parents visit the grocery store together alongside their child, and both have a say in the approval and denial of supermarket products. Besides the unbridled obsession with mothers that chocolate milk advertisements seem to have, what this response advertisement also addresses is the manipulative way the commercials portray chocolate milk as a wholesome treat for growing kids. Today, advertisements like the TruMoo one included in this post boast vitamins, minerals, and other dietary bonuses. Like Rowntree’s adverts from almost a century ago, TruMoo and other chocolate milk advertisers appeal to moms’ concern for the health and nutrition of her family. It is an effective marketing ploy, but duplicitous, indeed: a glass of chocolate milk can have more sugar than a can of soda (Martin, Lecture 9, Slide 23). It also is an old technique of chocolate companies. Rowntree cocoa sold itself to mothers as “more bone and muscle-building than ordinary cocoa” (Robertson, 21). The company aimed to sell to mothers in this manipulative way, deciding that women were the “purchasing agent” they had to win over by tapping into their desires to nurture their families and husbands (Robertson, 20). This sounds cringy and sexist, but what TruMoo and other chocolate milk sellers are campaigning with the “health benefits” in their own products, combined with the supermarket-mom scene is not far at all from Rowntree’s manipulative principles. My advertisement counteracts this message by selling the chocolate as a fun and special occasion treat, which is still enjoyable, instead of as a nutritional form of sustenance, which sugary chocolate cannot be when eaten in access. One way these gendered advertisements are being changed, but not necessarily for the good, is through Hershey’s recent advertisement which includes a father and his daughter enjoying chocolate together. While this advertisement is a shift from chocolate marketing normally aimed toward women and children, and instead toward men (specifically dads!) and their kids, it still does so in a way that shows dad, who is absorbed in Skype conference calls and too busy to leave work to spend time with his eager daugher, as the breadwinner. The man in this commercial never leaves his house to grocery shop for Hershey’s, and instead his daughter purchases chocolate for the two to share. While this advertisement refrains from the traditional chocolate advertisement portrayal of women as the housewives and domestic gurus, its storyline with a father still casts the man as the working parent. He is completely uninvolved in the nutritional and health concerns for his daughter in his role as her parent, like a mother in so many chocolate commercials might. In an age where the awareness of these advertising messages and the roles in which women are portrayed are scrutinized and considered more than in Rowntree’s advertising days, it is still a shame to think of the sexist ideologies in chocolate commercials like TruMoo’s and Hershey’s. And while the examples of women fetishized in housewife roles and men as breadwinners is less conspicuous, it is absolutely prevalent and problematic. Chocolate has been revered in America and all over the world for centuries. From the presumed invention by the ancient Olmec civilization (Coe 35) to the present-day global market, the demand for chocolate is ever-increasing. Despite the almost universal love for this sweet treat, made from the beans of the cacao tree, most people remain unaware of the complex issues that exist throughout the industry. The cacao tree is notoriously difficult to grow, “refusing to bear fruit outside a band of 20 degrees north and 20 degrees south of the Equator” and demanding very specific growing conditions (Coe 19). But putting aside the many logistical and environmental issues faced by cacao farmers, whose livelihood depends upon the successful cultivation of cacao, there are also more sinister issues that affect farmers, and in turn, threaten the availability and quality of chocolate as we know it. Corruption throughout the supply chain and by the governments of the countries that grow cacao has led to the extreme poverty of many cacao farmers, despite initiatives seemingly introduced to combat these problems, and has resulted in the trafficking of and dependence upon child labor, gender inequality, the interference of expensive cooperatives that often take profits from the farmers while making it harder for them to compete in the marketplace, and ultimately, lower quality beans being produced. Though there is no easy fix for the social injustice and numerous ethical problems, we as consumers can help facilitate industry change by spreading knowledge about these atrocities and making educated purchasing decisions, in addition to committing to become more mindful of the origins of our food. Evidence of child trafficking and slavery in the cacao industry began to emerge in the 1990s, and by the 2000s it was beginning to get noticed by the public. “Traffickers preyed on children at bus stops in Mali, promising riches on cocoa farms in Cote d’Ivoire. Once children got to the farm, they survived on little food, little or no pay and endured regular beatings. There were no chains and no irons, but, unable to leave their place of work, they were effectively slaves, harvesting the beans that were the key ingredient for chocolate” (Ryan, 44). Children were found to be doing dangerous tasks, using harmful chemicals and machetes without being afforded any training or protection, often resulting in, “injury and sickness, musculoskeletal disorders, sprains, lacerations, fractures, eye injuries, rashes, and respiratory irritation” (Martin). In 2009, a study conducted by Tulane University found that, “more than 800,000 children in Ghana had worked on cocoa-related activities in the previous twelve months,” (Ryan, 49). However, an important distinction to note is that many of the children were found not to be trafficked slaves but children working on family farms and plantations, contributing to the livelihood and economic success of their families and communities. This is often a cultural norm for many underdeveloped regions where poverty is a reality, and where there is no extra money to hire laborers to do the work. In addition to child labor, there is the issue of gender discrimination. Women in Ghana, “receive lower incomes than men, with many below the local poverty line or minimum wage” (Barrientos), despite the fact that women were found to be critical in caring for the early crops, and in the processes of fermenting and drying the cacao beans. “Within the chocolate industry these activities [performed by women] are seen as critical for ensuring productivity and quality” of the cacao (Barrientos). In an attempt to find a solution to some of these problems that result in injustice on the farming end of the supply chain, Gwendolyn Mikell theorizes that policies are needed, “that explicitly recognize that rural vibrancy contributes to national stability” by working to lessen the gap between the rural and the urban, “allowing local agricultural organizations to address local socio-economic needs as well as facilitate national economic linkages”, encouraging a gender-balanced labor force through policy, and depending more heavily on domestic instead of imported food (253). This proposed solution, though admirable, still begs the question, how do we encourage these policies that connect the different segments of the chocolate production industry in a way that does not exploit anyone, and provides economic opportunity for all? Do we, as consumers, even have any power to encourage such policy implementations, so far removed from the beginning of the process? Isn’t it those in power who must ultimately choose to make these changes, at their own economic expense, for the sake of humanity? The Fair Trade credential was offered as a solution to help farmers receive fair prices, but instead has appeared to often contribute to the problem, creating another layer of middlemen in the form of cooperatives that take profits from farmers via large membership fees, and make it even more difficult for small farms who cannot afford membership to compete. The nonprofit organization’s website claims that, “Fair Trade goods are just that. Fair. From far-away farms to your shopping cart, products that bear our logo come from farmers and workers who are justly compensated”, and purchasing fair trade products has become a popular way for customers to feel good, believing they are helping to deliver a solution to rural poverty through their purchasing decisions. The reality, however, is much different. “Countries ranked by the World Bank as upper middle-income account for 54% of producer organisations having received Fair Trade certification against 21% in the case of low-income countries. As for least developed countries, they only account for 13.5% of effective certification demand. Whatever definition of poverty and economic vulnerability is used, the conclusion is the same: Fair Trade tends to exclude the poorest countries” (Samba Sylla). Finally, most consumers assume that Fair Trade beans are of a higher quality, when the reality is that the best beans fetch the highest prices as specialty beans, and therefore it is the lesser quality beans that end up certified as Fair Trade (Nolan, Sekulovic, Rao). Click here to watch the Fair Trade Shell Game. Though many of these issues have gained some backseat media attention for decades, they are still not widely known to the majority of American consumers. As we have shifted from the Industrial Age to the Information Age, many people are simply overloaded with too much information. “According to a 2011 study, on a typical day, we take in the equivalent of about 174 newspapers’ worth of information, five times as much as we did in 1986”, despite the fact that, “the processing capacity of the conscious mind is limited” (Levitin). It is therefore reasonable to assume that things that are farthest removed from us personally will garner the least amount of our attention. Many Americans do not even know how chocolate is made, let alone are familiar with industry issues, and have become complacent about the origins of our food. In an attempt to gather some basic information about how much my contemporaries know about the chocolate industry, I created and posted a Chocolate Survey on social media, inviting my chocolate-loving friends to participate. Of the 24 respondents, 50% claimed to know how chocolate was made, while only 37.5% were aware of any production problems or ethical dilemmas within the chocolate industry. It is also worth noting that 75% of respondents would willingly pay more for chocolate if they had knowledge that farmers were not being fairly compensated and that higher prices were a solution to this issue. Most people, at the core, want to do the right thing. Another barrier to becoming an informed consumer is the difficulty of extracting information about our food. Even consumers who are aware of the problems that exist in the food supply chain will have an incredibly difficult, and often unsuccessful, time finding out where their food comes from, even if they make the attempt. I reached out to a popular Connecticut chocolate company that was a staple in my childhood, to inquire as to how much they knew about the production and origin of their beans. Though the company representative was polite and forthcoming with a response, it was vague and indicated that while most of their beans came from West Africa and Indonesia, the specifics depended on “type” and constituted proprietary information, though I was assured that their farms did not accept beans derived under abusive or illegal conditions. I was also sent a link to a video about how chocolate is made, but it was a generic video that did not provide information about the beans their company purchases. When a company claims the origin of their product is “proprietary”, it creates another unfortunate roadblock for consumers who are interested in and actively attempting to make informed purchasing decisions. It can be frustrating for the enlightened consumer to determine how to best avoid contributing to these complex problems in our food supply chain, but there are productive steps in the right direction that may be taken. According to journalist Orla Ryan, “consumers increasingly want to know where their products come from and understandably don’t want to buy goods made by children. But, this problem is too complex to solve with a simple consumer initiative… child labour is an economic problem. Solve the poverty and you solve the child labour problem” (54). However, it is not necessarily true that consumer initiatives cannot solve complex problems in big industries; McDonald’s discontinuation of of the use of ammonium hydroxide in its hamburgers, in response to the “pink slime” uproar by consumers, is one example (Johnson). In both cases, and in most cases, economics and greed are at the root of these issues. Though there is obvious risk in boycotting product from nations where underpaid farmers rely on what little wages they receive in order to survive, putting consumer pressure on some of the big companies may be necessary to induce the change that will eventually better serve all cacao farmers in the future. Though the Harkin-Engel Protocol, “an international agreement aimed at ending the worst forms of child labor” (Martin), was signed in 2001, fifteen years later it is unclear if it has resulted in any change at all. It is unlikely that Big Industry will make any changes resulting in less profit for them unless they are left without a choice, which can only come about with pressure from consumers. Supporting organizations who have taken on this challenge is one thing that can be done. Concerned consumers should consider joining the campaigns of organizations such as Anti-Slavery International, who are fighting for the end of child labor use in the cacao industry. Gathering friends and peers together and hosting a screening of “The Dark Side of Chocolate” is one way to make these issues known to others, as suggested by the International Labor Rights Forum. Social media is also a very effective method for promulgating information. 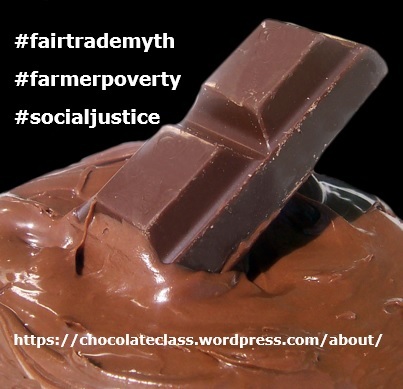 Sharing articles and data about the issues facing the chocolate industry on Facebook, Twitter, and other networking sites is a good way to ensure awareness of these critically important matters. Though not always effective, consumer boycotts can also be successful if executed strategically by people committed to following through. Harvard Business Review describes the strategies undertaken by successful boycotters who have created industry change through their initiatives. Consumer passion is the first necessary ingredient, “the main driver being moral outrage” (Diermeier). “The cost of participation must be low” (Diermeier), which is why successful activists will often choose one particular offending company to boycott, enabling the public to easily participate. The issues should also be easy for the general public to understand and follow, and the successful involvement of the media is the final critical ingredient in a successful boycott (Diermeier). Another thing the concerned consumer can do is strive to seek out small, ‘bean-to-bar’ chocolate companies that have a direct connection to the farmers who grow their beans, keeping in mind that there will likely be a higher cost associated with doing business with a small company trying to compete with the large industry players. In a Q & A session with the founders of Rogue Chocolatier, Colin Gasko explained that he can’t ever know for certain when his next batch of beans will arrive due to the market competition; that even if he has a relationship with a particular farmer, he could never ask that farmer to do business with him if it would be in the best interest of the farmer to do business with a company offering a higher wage that can better support the farmer and his family. Informed and concerned consumers should be willing to pay a high price to reward small companies for doing what they can to combat these numerous issues in the chocolate industry. Additionally, artisan chocolate companies are striving to bring back the nuances and deep flavors of the beans that have been lost due to industrialization. Large industrialized companies are more concerned about consistency than quality, as they are selling a brand and want their product to always taste the same, even if it’s always sub par. “The artisans do something very different. The artisans are much more attune to the flavor profile of each individual batch of beans. So they’re working on a small scale because they’re working with batches from one farm, one plantation, or a cooperative, fine-tuning the chocolate to bring out the best flavor of that bean” (Leissle). There is no simple answer that will address and correct the many complex social justice and ethical issues that affect the chocolate industry. Poverty-stricken farmers deserve to earn not only a liveable wage but a profit, selling the cacao beans that fetch billions of dollars in revenue each year for those further up the supply chain. It is only by becoming and staying informed of these issues, spreading knowledge to others, participating in strategically executed boycotts, and making deliberate purchasing decisions that we can hope to make a change for the better and work toward creating a system that is fair for everyone, and one that preserves the nuances and quality of chocolate-making that has been threatened so many times by chocolate-making on an industrial scale. It is the decision of every consumer to become part of the problem or part of the solution. I choose the latter, and hope that one day companies will have no choice but to enact real changes that lead to not only to a healthier, higher quality product, but to economic freedom for all segments of this billion dollar industry. Footnote for Maggie: Regarding the chocolate meme as a social networking tool: it is cited below as per the wikimedia image guidelines, which indicate they hold true whether or not I alter the image (which I did, with the text overlay). Also, I’m still not able to add any new tags, so I cannot add the most appropriate tags to this post. aaas119e43. Private Correspondence with chocolate company, “Inquiry and response regarding origin of company’s beans”. Email. 17 Apr. 2015.
aaas119e43. Chocolate Survey. Survey Monkey. 7 May 2015. Web. Coe, Sophie D. and Michael D. Coe. The True History of Chocolate. London: Thames & Hudson Ltd., 2013. London. Print. Gasko, Colin. Q&A, Rogue Chocolatier. Harvard Extension School. Cambridge, MA. 6 May 2015. Classroom interview. Martin, Carla. “AAAS E-119 Lecture 8: Modern Day Slavery.” Google Slides, iSite, Slide 17. 25 Mar. 2015. Web. 11 May 2015. Mikell, Gwendolyn. Cocoa and Chaos in Ghana. New York: Paragon House, 1989. Print. Ryan, Orla. Chocolate Nations: Living and Dying for Cocoa in West Africa. London: Zed Books, 2011. Print. Could South America Provide Competition to Disincentive African Child Labor? The above video depicts what has come to be a normal occurrence in the modern day cocoa trade. Nestlé’s Kit-Kat bars, which the creator of the video claims is one the products these African children’s harvest will contribute towards, sells in stores with a fair trade logo on the wrapper. This wrapper, depicted below, signifies that Nestle refuses to purchase cocoa made with child labor. While Nestle, other large manufacturers of chocolate, and the ILO claim dedication to ending and preventing the worst forms of child labor, countless cases of this labor’s involvement in the chocolate industry continue to be brought to light. With little economic or political incentive for the local governments of the Ivory Coast and Ghana to be tough on child labor, these practices stand to be the status quo in Africa for the foreseeable future unless action is taken. One key economic incentive could stem come from the birthplace of chocolate, South America. Once home of the largest cacao farming operations in the world, South America is now mostly known for single-sourced artisan chocolates with Africa exporting the most bulk cacao. However, a few large South American chocolate manufacturers have had success producing foods closely resembling those of the big five chocolate makers with locally grown cocoa. South America is still developing as a whole, but generally tends to be better off then Africa and is much less likely to participate in child labor practices. If companies such as Nestle, Hershey’s, and Cadbury chose to start utilizing South American farms on the basis of African child labor, a significant economic incentive could finally arise to motivate the governments of the Ivory Coast and Ghana to end child labor in the cacao farming industry. Before searching for drastic alternatives, it is necessary to examine how bad the existing problem in Africa really is. Documentaries such as the one shown above can often have particular agendas and rely on anecdotal evidence of the specific farms that they visited. Carol Off gives a more thorough look into child labor practices in the African cocoa industry through her book Bitter Chocolate: The Dark Side Of The World’s Most Seductive Sweet. One of the worst forms of child labor according to the ILO is labor that prevents children from going to school. During Off’s travels to cacao farming villages in the Ivory Coast, she found that none of the children there attended school (Off 6). Off even discovered evidence that child slaves were being smuggled onto farms in the Ivory Coast and worked to near death (Off 121). When large corporations such as Hershey’s and Mars caught word of the reports, they admitted that the majority of their cocoa comes from the Ivory Coast, but claimed that it was impossible for them to monitor the proceedings at all of the small farms (Off 140). The child labor problem is truly a systemic issue throughout the largest producers of African cocoa. Despite these findings, no good alternatives or preventative measures have been proposed. According to Orla Ryan in her book, Chocolate Nations: Living and Dying for Cocoa in West Africa, United States Senator Tom Harkin was inspired to create such a change after witnessing the dire state of cacao farms in the Ivory Coast (Ryan 43). This visit sparked the Harkin-Engel protocol, an international effort to end the worst forms of child labor on these African farms. Unfortunately, this protocol serves more as a method to raise awareness of the issue rather than providing a means to ending these practices. The protocol included a statement that further action is needed and formed a group that would research and advise on potential ways to improve the situation. Years after the protocol was established, the situation is not much different in Africa. Local power in Ghana and the Ivory Coast has made it difficult for national governments to fully help out with the protocol. The social situation in the countries has created a dynamic that allows child labor to continue its existence. In Ghana, cocoa farming is controlled by the Asante. The Asante are an elite group whose chiefs are very powerful at the local level. These powerful few dominate the cocoa industry in Ghana and accumulate most of the wealth from the trade. According to Gwendolyn Mikell in her book, Cocoa and Chaos in Ghana, these large and powerful groups would often use the weaker in society as pieces to further their influence in the state (Mikell xiii). This leads to a fair deal of oppression on the hands of the elite in this group as they vie for power with the Ghanaian national government. The Ivory Coast exhibits the opposite problem. Rather than large farms being controlled by a few members of society, the Ivory Coast relies on many smaller unconnected farms to contribute to the nation’s harvest. Unlike the Asante in Ghana, these farmers do not pose much of a threat to the national government. In turn, the Ivory Coast does not have a strong infrastructure of oversight of the nation’s various cacao farms. It is extremely easy for these small farmers to operate counter to the Harkin-Engel Protocol without being monitored by any regulatory agencies. These issues in Ghana and the Ivory Coast make it extremely difficult for local politicians to cooperate with the protocol and crack down on the worst forms of child labor on their farms. South American nations have a very different social structure than the African cacao powerhouses. According to Mikell, Latin American development has been carefully monitored and is not as chaotic as economic progress in Africa has been (Mikell xvi). This social structure is conducive to a society that can thrive without relying on the worst forms of child labor on their farms. Home to the world’s largest cacao plantations before Europeans began mass producing chocolate and buying from primarily African farms, South American cacao has recently started to make a comeback, most specifically in the single origin chocolate industry. Kristy Leissle explains this rise in her article, “Invisible West Africa: The Politics of Single Origin Chocolate.” In the article, Leissle highlights artisan chocolate makers role in giving South American farmers business with their single source chocolates. Africa tends to be associated with many negative connotations with slavery and violence at the forefront (Leissle 26). On the other hand, countries such as Venezuela and Ecuador convey exotic messages and are more appealing to artisan chocolate consumers. It is not surprising to learn that Ecuador and Venezuela produce over twenty percent of single origin cocoa (Leissle 23). Political solutions to child labor in Africa have so far failed. The problem certainly seems difficult to solve from a political standpoint. Economically, Africa has few competitors in the cacao farming industry. Perhaps the rise of single source cacao farming in South America could lead to competition that incentivizes the end of African child labor. While companies as large as Hershey’s, Nestle, Cadbury, or Mars have yet to purchase significant amounts of cocoa from outside of Africa, some large South American chocolate companies have seen a fair amount of success making similar products from Latin cacao. The above picture depicts a Jet chocolate bar produced by Grupo Nutresa, a food company headquartered in Colombia. Jet is not an artisan chocolate bar and resembles a bar that could be made by any of the four previously listed large companies. According to Bloomberg Business, Jet is one of the bestselling chocolate bars in the world with forty seven million dollars in annual sales. Unlike other top selling chocolate bars, none of the cocoa in this bar comes from Africa. The map below is an excerpt from Grupo Nutresa’s sustainability report highlighting the origins of its raw materials. The entirety of Grupo Nutresa’s cacao originates from the South American countries of Colombia and Ecuador. Grupo Nutresa and Jet are not alone in South American only production. Grupo Arcor is a large South American food company, best known for its brands of chocolate and other candies. The website candy industry ranks Grupo Arcor as one of the top candy manufacturers in the world. Again, this high performing candy manufacturer goes against the grain and imports no cacao from Africa. In Grupo Arcor’s supplier report, Argentina, Brazil, and Chile are listed as the three countries that supply the company with its raw farm materials. These large chocolate manufacturers succeeding with South American cacao alone could pave the way for a viable economic disincentive of the worst forms of child labor in Africa. If global chocolate manufacturers refused to purchase cocoa from Ghana and the Ivory Coast as long as illegal child labor remains, opting instead to buy South American cocoa, a significant incentive against child labor would finally be in place. An economic incentive seems necessary. Previous political actions, such as the Harkin-Engel protocol, have failed to cause meaningful change, and the social environments present in both Ghana and the Ivory Coast make it unlikely for local governments to be able to wholeheartedly cooperate with efforts. South America, as one of the largest cacao producers outside of Africa could provide enough competition to drive meaningful change. The continent has already exhibited success outside of the single-origin space that it is most known for. This plan may be slow moving and require some encouragement from global powers due to the shear amount of cacao production South America would have to take on in order to gain a significant number of clients, and more research into how much production the region could realistically handle must be taken on. With Africa maintaining such a large share of the global cacao market, South America appears to be the only place remotely capable of putting enough market pressure on the African nations to curtail upon the worst forms of child labor in order to keep their farms functioning. Kit Kat: Give the Child Slaves a Break. Ken Symes. Youtube, 2011. Wolfenden, Paul. Kit Kat Now Carries the Fairtrade Foundation Mark. Thefairtradestore.co.uk. 9 Dec. 2009. Web. Off, Carol. Bitter Chocolate: The Dark Side of the World’s Most Seductive Sweet. New York: New, 2008. Ryan, Orla. Chocolate Nations: Living and Dying for Cocoa in West Africa. London: Zed, 2011. Mikell, Gwendolyn. Cocoa and Chaos in Ghana. New York: Paragon House, 1989. Leissle, Kristy. “Invisible West Africa: The Politics of Single Origin Chocolate.”Gastronomica: The Journal of Food and Culture (2013): Web. Jet Milk. Compania Nacional De Chocolates. Web. Grupo Nutresa. Informe Anual Y De Sostenibilidad 2013. “Top 100 Candy Companies.” Candy Industry. Grupo Arcor. Suppliers, Customers, and Consumers. Chocolate is a delicious commodity enjoyed throughout the world. However, chocolate tastes and consumption patterns vary from region to region. For example, chocolate produced for Americans is often made very sweet, contains less cacao and cocoa butter, and many times becomes an impulse buy or guilty pleasure. Chocolate is also heavily marketed towards children in the United States, and most of the chocolate consumed by Americans is from Big Chocolate companies such as Hershey. However, in many European countries, chocolate is often more luxurious and rich, is complemented with a variety of fruity and spicy flavors, and is marketed more towards the adult population. In addition, European chocolate is often more expensive given its target audience and higher cacao content. It is important to note that each country within Europe makes chocolate slightly different and has its own unique consumption trends, but in general, most European chocolate is made with more sophistication and higher quality ingredients when compared to American chocolate which is often heavily corporatized and mass-produced. The differences between American and European chocolate are so stark that we can even witness them when comparing the chocolate found in international stores in the United States to the chocolate sold in American grocery stores. For the purposes of this paper, the chocolate sold in Cardullo’s and CVS will be compared and contrasted in order to demonstrate the differences between European and American chocolate. It will be argued that variations in ingredients, target audiences, and packaging are what influence and distinguish European and American chocolate tastes, advertising, and consumption trends. Cardullo’s is a gourmet shop in Harvard Square that sells food ranging from fresh deli meats to jams to dried pasta. Many people, including myself, believe that the store is meant to be reflective of a European shop or cafe because the store sells mainly imported brands and gives off an international vibe with its rustic and crowded interior. What is interesting is that the only thing I have ever purchased from Cardullo’s has been chocolate, and when I revisited the store this past week I realized why: their chocolate selection is outstanding! Moreover, four out of the five times I bought chocolate from Cardullo’s, the chocolate wasn’t even for me, it was meant to be a gift for someone else. When I think about why I chose Cardullo’s for the chocolate gifts, it was because I wanted my present to feel unique, luxurious, and thoughtful. I was not about to buy someone special a plain Hershey’s bar or a bag of Reese’s. I knew that Cardullo’s sold European chocolate brands and felt that European chocolate was high quality. I feel that this is a common perception, that European chocolate is more luxurious and better than American chocolate. This bias may be based on the idea that European chocolate often contains more cacao and cocoa butter than American chocolate, which is considered a sign of quality. This is because the United States only requires its chocolate to contain 10% cacao, while in Europe to be considered “chocolate”, a bar must be at least 20% cacao (Gourmet Boutique). Many argue that American chocolate producers care more about cost than quality when it comes to their chocolate which is why they use lower quality ingredients and mass-produce their chocolate unlike many European companies (Alberts and Cidell, 224). American chocolate companies using less cacao in their bars dates back to the beginnings of the Mars Company. Frank Mars tried several times to create a popular chocolate bar and eventually ran himself into debt (Brenner, 53). However, once he and his son invented the Milky Way in 1923 (which is chocolate nugget covered in a thin layer of chocolate) the company’s costs of production fell drastically because the bars contained less cacao (Brenner, 54-55). The bars immediately became popular because they were larger and cheaper than the other current chocolate bar at the time, Hershey’s (Brenner, 55). It was partially Mar’s usage of a cheaply made filled bar that led other American chocolate producers to try to use less cacao in their bars. The fact that the Hershey company mass-manufactured and got people habituated to milk chocolate with less cacao may be another reason why Americans accept chocolate with a lower cacao content today. Getting back to the matter at hand, the imported chocolate at Cardullo’s did contain a significant amount of cacao, the lowest cacao content I saw being 23% in a standard chocolate bar. Most of the imported European chocolate also highlighted the cacao percentage on the front of their packaging, which is something I do not recall being included on most American-produced chocolate wrappers (see Figure 1 below). This marketing tactic enables European chocolate producers to tout the high levels of cacao they are using (Wolke). I remember that selecting the chocolate gifts at Cardullo’s was extremely difficult because of the wide variety of chocolate brands and flavors they sold. On one occasion, I had trouble deciding and ended up buying five bars each with a different flavor: chili with cherry, dark milk, 88% dark, orange, and sea salt caramel. Upon revisiting the shop, I re-discovered some of these specific chocolate bars whose brands were Chocolat Bonnat (France), Valrhona (France), and Dolfin (Belgium). What enticed me about these particular bars were their intriguing flavors, some of which I had never seen before. Most of the flavors in Cardullo’s chocolate include nuts, spices, or fruits, which is actually common for European chocolate and contrasts with American chocolate which is usually complemented with caramel, nugget, and other sugary fillings. 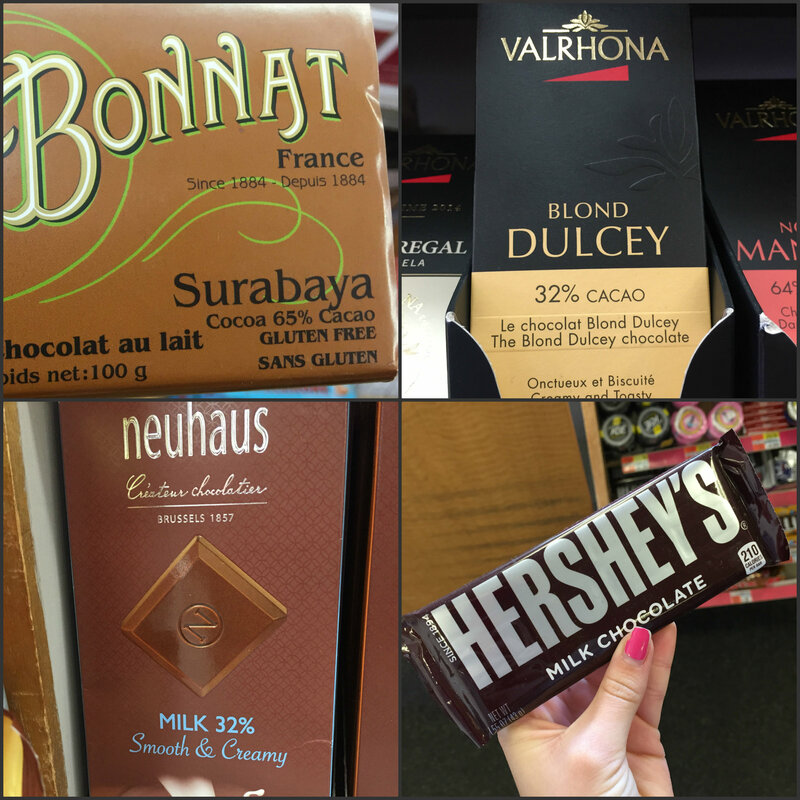 These more savory flavors used in European chocolate tie back to the Mesoamerican origins of chocolate. In fact, several scholars believe that “Europeans developed a taste for Indian chocolate, and they sought to recreate the indigenous chocolate experience” (Norton). These scholars also claim that this “cross-culturalization of taste” led Europeans to develop an appetite for spices and vanilla (Norton). I also chose the bars because they had intricate and fancy wrappers that made the chocolate look expensive. These fancy wrappers are probably a marketing ploy, again to promote the perception that European chocolate is higher in quality and more glamorous. This perceived quality is also probably factored into the price of the chocolate because the chocolate bars were not the cheapest. The price of chocolate sold at Cardullo’s ranges from $5-$65 with the pricier chocolate items being gift baskets and large boxes of chocolates. To me, the prices are justified by the fact that the chocolate is imported and because of the customer base of the shop. Whether Cardullo’s intends to attract older people or not, their clientele is mainly working men and women and arguably international students. It is understandable that middle aged and older people visit this store: they can afford the food and have more singular tastes. It is also interesting to note that chocolate is mainly marketed towards adults in Europe which may be why it is more expensive and takes on a more sophisticated look (Graham). European chocolate has not always been luxurious or marketed in this way, especially in France. Today, France creates some of the most artistic, romanticized, and well-known chocolate in the world, but this was not always the case (Terrio, 10). Until the 1970s, French confections were very traditional and quite plain. But towards the 1980s, French chocolatiers wanted to re-brand their chocolate and make it more of a specialty item. In order to do this, they began distinguishing themselves from pastry makers and confectioners, created a new taste standard for bitter dark chocolate, worked with the government and local authorities to establish themselves, and looked to the past to make sure their chocolate had cultural authenticity and didn’t appear mass-produced (Terrio, 12-15). Finally by 1990, French chocolatiers were being recognized as craftsmen and artisans for their authentic and creative work. The French chocolatiers were ultimately able to establish themselves because they placed a tremendous amount of time and effort into making small-batch chocolate which contrasted the mass-production and lower quality work conducted at larger chocolate factories and companies at the time (Terrio, 30-35). Nowadays, there are several fine French chocolate makers such as Valrhona and Bonnat. Some of my concluding observations about Cardullo’s were that the store mainly sells its chocolates in single bar form as compared to in bulk, but also sells several chocolate confections such as bonbons and truffles. During my revisit, I also made sure to check the sugar content, fat content, and cacao content of many of the bars in the shop in order to compare them to the chocolate bars in CVS. Finally, on my way out, I asked an employee what chocolate he preferred, European or American. He quickly replied, “European of course! It is much more creamy and rich, and I am pretty sure it doesn’t contain weird ingredients like those used in Hershey’s”. Another employee chimed in saying, “It is definitely the smoothness that distinguishes the two”. This smoothness probably derives from the European’s use of extra cocoa butter, or can be attributed to the fact that Europeans (especially the Swiss) prefer smoother chocolate so they conche their chocolate for longer (Presilla, 126). Studies have found that American chocolate companies typically conche their chocolate for 18-20 hours, whereas Western European chocolate companies conche for 72 hours (Alberts and Cidell, 222). Now onto CVS. CVS is a large drug store chain that offers everyday use items from beauty supplies to medications to snacks. When it comes to chocolate, American CVSs have a surprisingly decent selection. However, most of the chocolate sold is from Big Chocolate brands such as Mars, Nestle, and Hershey, which can be found in most convenience stores. CVS also carries some semi-luxurious brands such as Lindt and Godiva (both European brands), but on a small scale. Walking down the candy aisle at CVS was a much different experience than at Cardullo’s. For one, I actually felt quite overwhelmed by the bright packaging of the chocolate (a common color theme was using yellow or red). I also noticed that most of the chocolate brands used animated lettering on their wrappers. This eye-catching color scheme and lettering clearly contrasted Cardullo’s calm and intricate chocolate packaging and is most likely to attract children (see Figure 2 below). To reiterate, in the United States, chocolate companies often target children in their advertisements. As a side note, chocolate marketing towards children is actually a highly controversial topic, as it takes advantage of children’s developmental vulnerabilities and may be contributing to the childhood obesity epidemic (Martin). Moreover, just like at Cardullo’s, the price of the chocolate at CVS is probably influenced by its targeted population and the type of people who visit the store. Since American chocolate is mainly marketed to children in the US, and CVS seems to be a weekly stop for the average person, it makes sense that their chocolate prices are extremely reasonable, ranging from $1-$15. This affordability allows the chocolate to be an impulse or everyday purchase. Another thing that somewhat differed between Cardullo’s and CVS chocolate was its placement in the store. The Cardullo’s chocolate was on the wall sort of close to the register as was the CVS chocolate, but CVS also had a row of chocolate bars right under the register to entice impulse buyers. Chocolate is considered to be more of a guilty pleasure or impulse purchase in America versus in Europe where people eat chocolate more regularly. This is because in Europe chocolate is viewed as a food rather than an indulgence (Alberts and Cidell, 224). This is also revealed in reports showing that Europeans consume about half of the world’s chocolate whereas the United States only consumes about 20% (CNN’s “Who consumes the most chocolate?”). 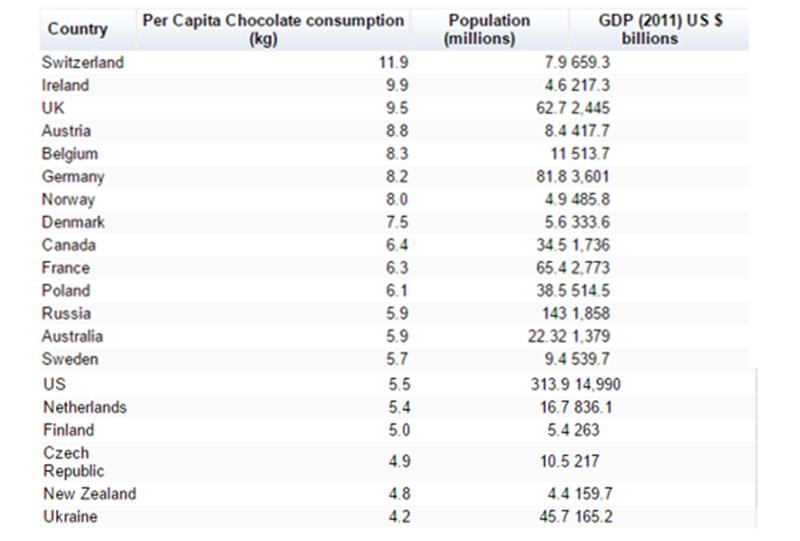 This trend is possible because many European countries consume more chocolate per capita than the US (see Figure 3 below). Furthermore, in CVS the chocolate treats were mainly in bar form, were often sold in bulk, and did not come in luxury forms such as bonbons or truffles, again speaking to the target audience’s tastes and trends. This yet again reveals that American chocolate producers value cost over quality. Finally, when examining the nutrition labels, it was evident that the chocolate in CVS contained more sugar, less fat from cocoa butter, and less cacao altogether. For example, a Cadbury Milk Bar from Cardullo’s contained 23% cacao, while a Hershey’s Bar from CVS only contained 11%. What was even more striking was when comparing the same Cadbury Milk Bars, an imported one from Cardullo’s and one from CVS, the nutrition facts and packaging were not equal (see Figure 4 below for a video of a family comparing the British Cadbury bar to the American one). It is also interesting to point out that the chocolate sold at Cardullo’s was mainly dark chocolate while CVS was capitalized by milk chocolate. This may be because children prefer sweeter milk chocolate to bitter dark chocolate which is a more acquired taste, or that dark chocolate is truer to the origin of chocolate which is why it is produced more often for European audiences. Regardless, this finding is not a coincidence in that Americans prefer lighter milk chocolate and Europeans prefer darker chocolate (Presilla, 119). In summary, I found Cardullo’s European chocolate and CVS’s American-produced chocolate to be radically different. What I discovered was that European chocolate contains more cacao, is occasionally complemented with unique spices and flavors, has more sophisticated packaging, and targets a more mature population. Moreover Europeans tend to prefer dark chocolate and consume chocolate more regularly than Americans. On the other hand, American-produced chocolate is sweeter with less cacao and more sugary fillings, utilizes bright and animated wrappers, is often mass-produced, and is marketed more towards children. With these differences in ingredients, packaging, and target audience, it is no wonder that European and American chocolate tastes, consumption trends, and advertising differ. Alberts, Heike C., and Julie L. Cidell. “Chocolate Consumption Manufacturing and Quality in Western Europe the United States.” Geography (2006): 218-226. Brenner, Joel Glenn. The emperors of chocolate: Inside the secret world of Hershey and Mars. Broadway, 2000. 48-55. Graham, Caroline. “Too Sweet, Too Cheap and Full of Ghastly Chemicals – Why Even Americans Can’t Stand American Chocolate.” Daily Mail. Associated Newspapers Ltd., 21 Nov. 2009. Web. 29 Apr. 2015. http://www.dailymail.co.uk/news/article-1229924/Too-sweet-cheap-ghastly-chemicals–Americans-stand-American-chocolate.html. Martin, Carla. “Race, Ethnicity, Gender, and Class in Chocolate Advertisements.” Class. Harvard University, Cambridge. 1 Apr. 2015. Lecture. Norton, Marcy. “Tasting Empire: Chocolate and The European Internalization Of Mesoamerican Aesthetics.” The American Historical Review 111.3 (2006): 660-91. Web. 29 Apr. 2015. http://ahr.oxfordjournals.org/content/111/3/660.full.pdf html. Presilla, Maricel E. The New Taste of Chocolate. Berkeley, California: Ten Speed Press, 2001. 119, 126. Terrio, Susan Jane. Crafting the culture and history of French chocolate. Berkeley: University of California Press, 2000. 1-40.